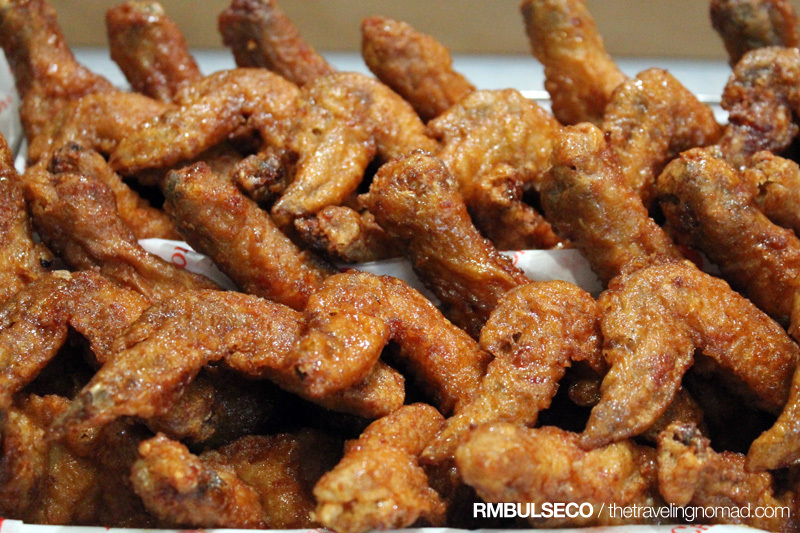 The Geek Travels: BonChon Chicken: The Global Phenomenon is now in Davao! BonChon, which literally means "original village" in Korean, serves Korean fried chicken that's super crispy yet tight and not greasy, with hot moist meat and sauced with its addicting soy garlic or spicy glaze. From its original home in Korea, BonChon opened branches in New York where its crispy chicken gained popularity among media and industry accolades. Its phenomenal cult in US -- New York, San Francisco, Boston, Virginia, and New Jersey -- had made the restaurant to expand internationally. Little by little, BonChon Chicken started to invade Bangkok, Manila, Jakarta, Singapore and Brunei. In November 2010, BonChon Chicken Philippines officially opened to massive lines, inspiring instant gustatory love among Filipinos. The original Korean fried chicken secret to be a big hit, propelling growth to an impressive 20 stores throughout Metro Manila in a mere 20 months of operations. BonChon Chicken Philippines is steadfastly committed to serve fresh, innovative food at reasonable prices, delivering much value to its growing cult of customers without any shortcuts. 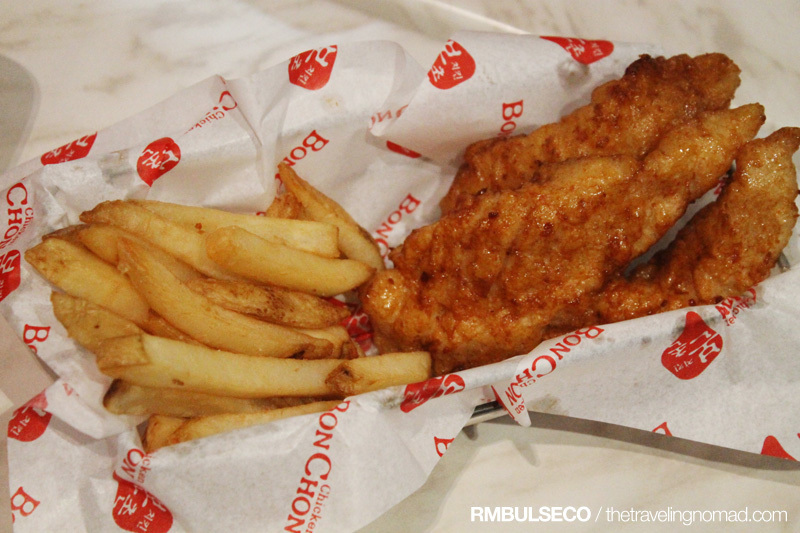 The local menu offers a wide range, starring BonChon's world-renowned crispy chicken. Its seafood offerings began as a local seasonal offerings that have become popular on the local menu: the brand's take on the English classic of fish and chips, crispy squid rice (my personal favorite), and the fish-taco which was inspired by the California food truck mishmash of Mexican and Korean. 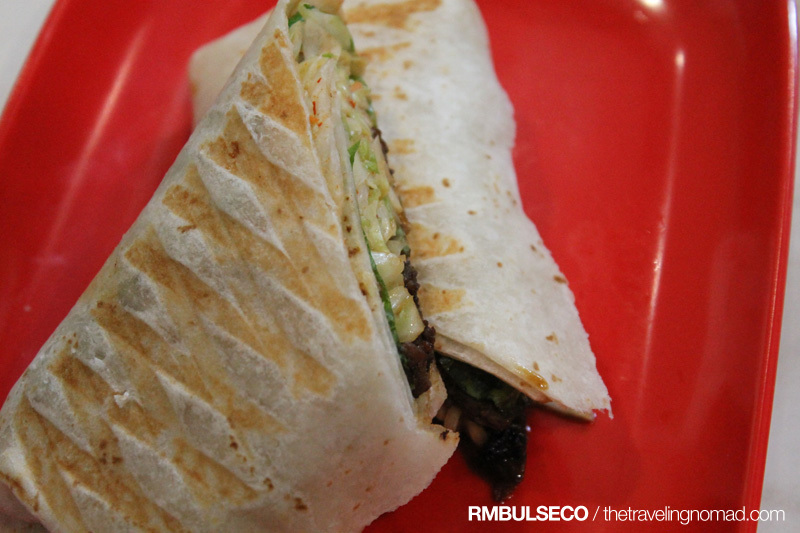 The traditional Korean Bulgogi is also served here in BonChon. 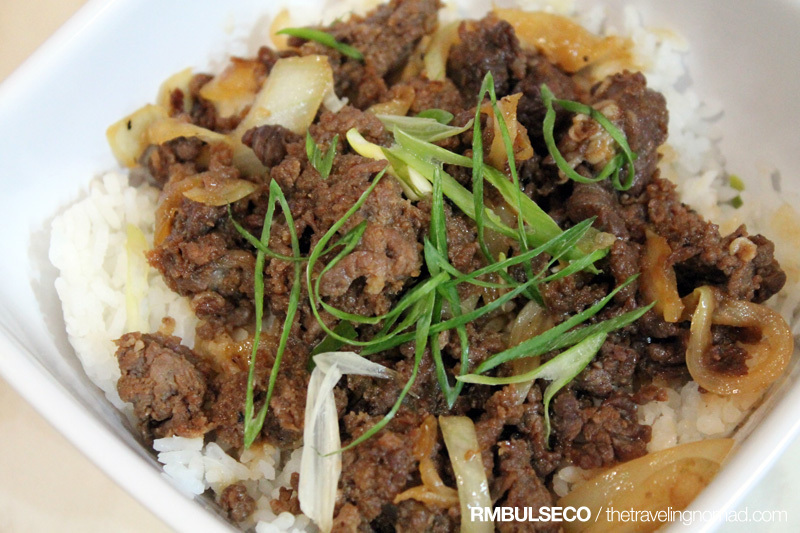 It is served Asian style as beef bulgogi over rice, Western style as beef bulgogi in a wrap, and Bonchon style as crunchy chicken bulgogi over rice. 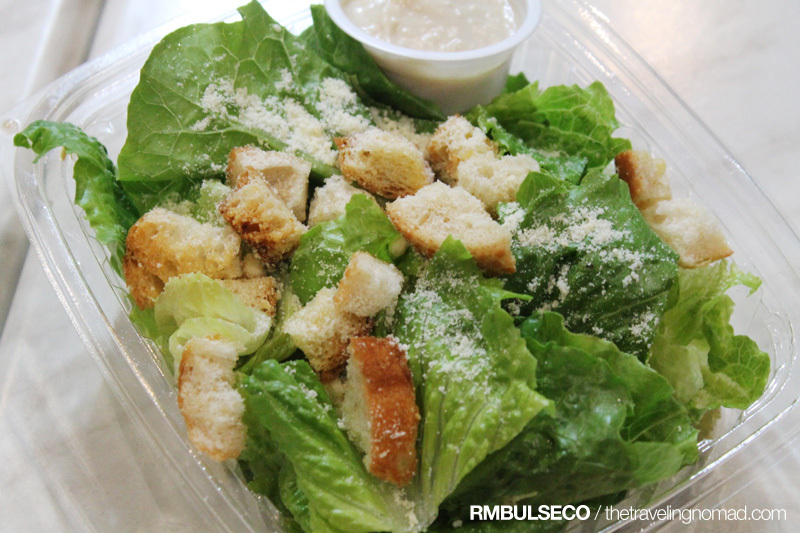 If you're a salad lover, then BonChon is a perfect place for you. They also offer delicious and fresh salads: Ginger Tofu with an Asian dressing, and a classic Caesar showered with a generous amount of parmesan cheese and an live oil-based dressing with real anchovies. Caesar Salad oh! Init pa! To have a sweet ending, try their Ko-Yo (or Korean Yogurt). It has the perfect balance among tart, sweet, cool, and creamy served in alternating layers with homebaked graham pie crust, and offered in Blueberry Torte and Banoffee Pie Variants. The vision of BonChon Chicken Philippines is to serve as many Filipinos as possible, with BonChon in every key cities of the country. With the opening of its Davao branch, their goal is starting to be realized. "We are glad to have begun our national expansion with the opening of our first branch outside of the metro. Davao City is thriving and the food industry here is bullish, and we are very proud to be aprt of the progressive vibrance of this beautiful city. 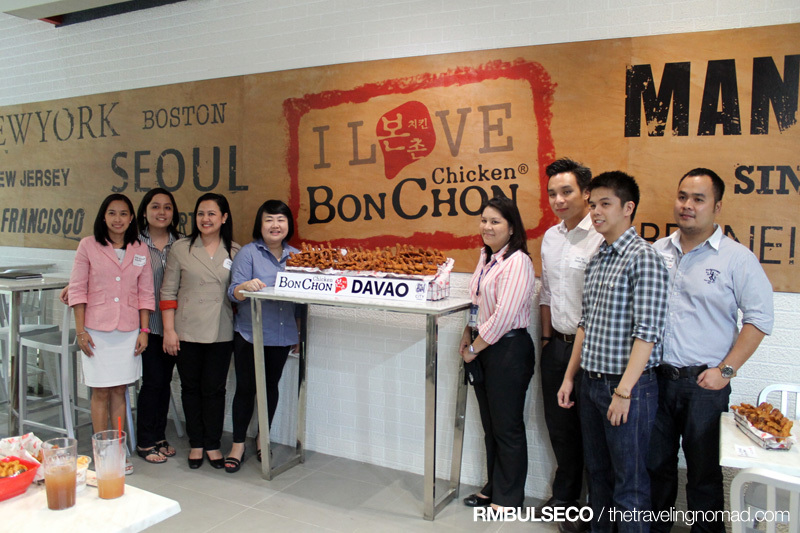 We are looking forward to offer something new to Davaoeños, the same crispy chicken that has made its mark in the international market," says Scott Tan, managing director of BonChon Chicken Philippines. BonChon is located at the ground floor of SM City Davao - The Annex. My reliable sources tell me that they are planning to open up a branch at SM City Lanang Premier and one in Abreeza Ayala Mall. Wow! This is something to look forward to come Sunday family lunch! Thanks for sharing! 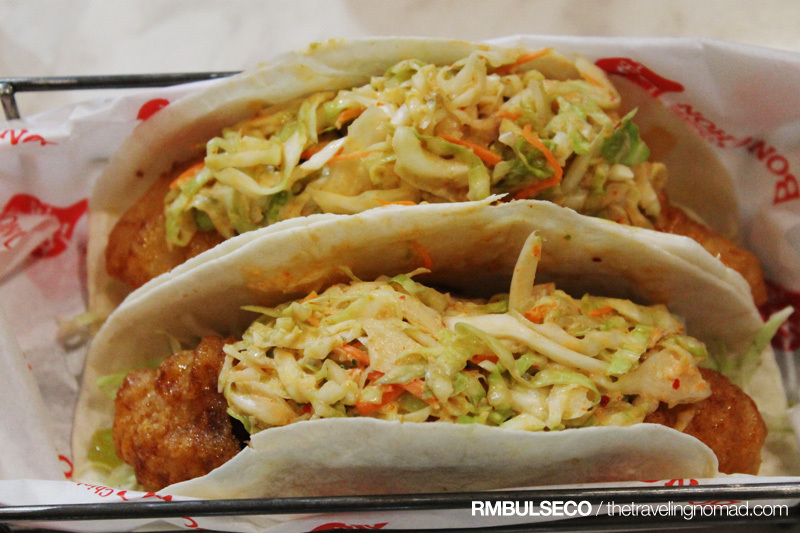 I love Bonchon and we have one just a few steps away from the office, which is the Ayala Triangle Branch. 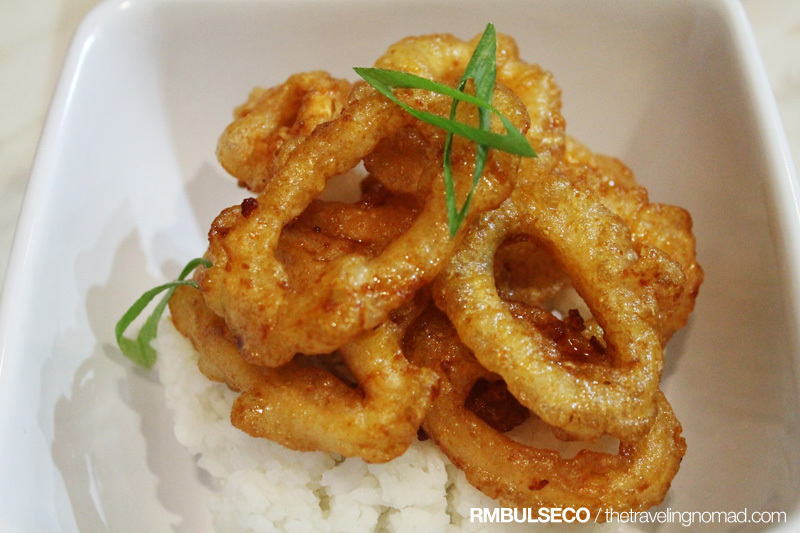 ill definitely find this place... already tired of the usual treat in torres..
Another food post. Im hungry! 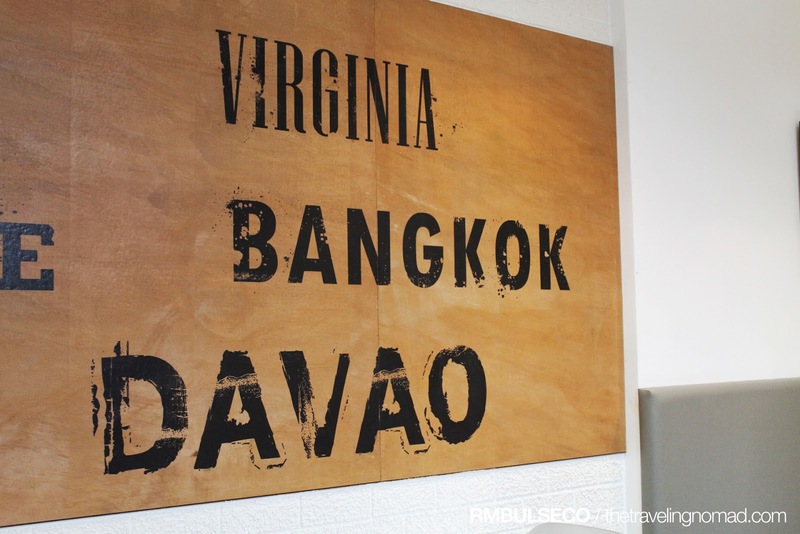 Oh, come on, why only Davao and Manila?